I repeat: I cooked. Seriously, I went over to the oven and preheated it, sprayed a cookie sheet, threw some Mrs. T's Potato, Broccoli & Cheese Pierogies on top, and slid the tray into the hot oven. Me. Putting my arms into a hot oven. I hope you were sitting down for that. I've always wanted to make pierogies at home, and I'm very glad that I was finally brave enough to buy a box. Mrs. T's always has the most delicious-sounding pierogi flavors such as potato and onion and potato and cheese. 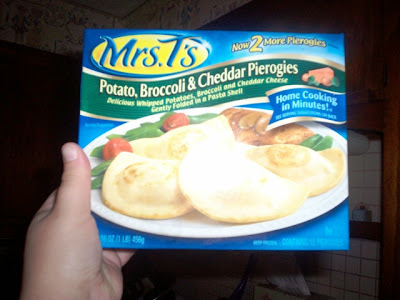 One thing that helped me choose the broccoli and cheese flavor is that the box came with two extra pierogis inside. 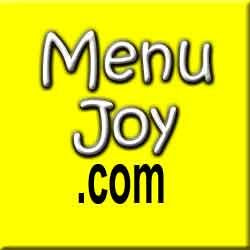 The more, the merrier! They actually came out quite good, considering I was the one that was in charge of making them. The crust was very light, allowing the delicious filling to stand out. They were actually quite stuffed, which surprised me because some of these appetizer-type foods barely have any filling at all. The taste was excellent, and YES - I ate the entire box. So what? It was my reward for not burning the house down. Now that I've become one with the oven, I can't wait to try some of the other Mrs. T flavors. Stop & Shop, here I come!